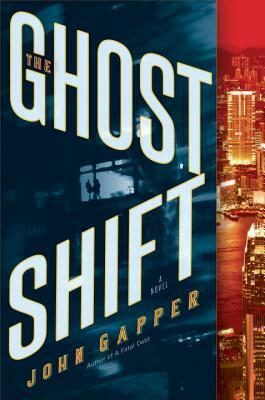 In the tradition of "Gorky Park, " John Gapper's new thriller takes readers inside the secretive and dangerous world of modern China, as a young woman makes a haunting discovery one that forces her to choose between duty to her government and a desperate desire to learn the truth about herself. "This wasn t just a body in a field. The corpse's shape was hers same length, same curves. Then she knew, and everything else receded to nothingness. All she could see was a woman with the same nose, the same eyes, and the same face." As an up-and-coming agent of the Commission for Discipline Inspection, Song Mei probes political corruption, not mysterious deaths. But that changes when she arrives on the scene of a grim police investigation and is confronted with a crime and a victim impossible to ignore. Despite strict orders and threats from superiors, Mei knows she can not turn away. Breaking protocol, Mei undertakes a covert search for the truth about the mystery woman's death and life by following in her footsteps from a factory plagued by worker suicides to a luxury hotel dealing in high-end escorts to an American home haunted by tragedy. But when Mei crosses paths with an ex CIA operative on a shadowy mission of his own, her personal quest takes a jarring turn into political and industrial espionage that pits both agents against the highest ranks of communism and capitalism. Praise for John Gapper's "A Fatal Debt"
Rarely does one read a first novel so self-assured, sharp, and compelling. It takes off like a rocket and doesn t stop until its explosive conclusion. Joseph Finder, author of "Suspicion"
An enlightening and grisly tale . . . tightly plotted and fast-paced. " The New Yorker"
An ingenious thriller about the ruthless world of high finance. "The Washington Post"
A fast-paced book that should entertain finance aficionados and fans of detective fiction alike. "Fortune"
A neatly crafted and well-written thriller . . . an audacious, assured debut. David Ignatius, author of "Bloodmoney"
Gapper] knows when to put his foot on the narrative accelerator. " Financial Times"
Intriguing . . . suspenseful . . . a web of deceit and betrayal. "Booklist. John Gapper is the author of the suspense novel "A Fatal Debt, "as well as these works of nonfiction: "How to Be a Rogue Trader "and" All That Glitters, " a book about the collapse of Barings Bank in 1995. He is chief business columnist and an associate editor of the "Financial Times." He also has a blog on which he comments on business news. He holds a bachelor of arts degree from Exeter College, Oxford University, and won a Harkness Fellowship to study at the Wharton School of the University of Pennsylvania. He lives in London with his wife and two daughters.